My name is Cassandra Phillips-Grande, I live in Goderich, and am an Asian Languages / Theatre Student at the University of British Columbia. As you probably know, this is my first post with the Ontario Travel Divas! 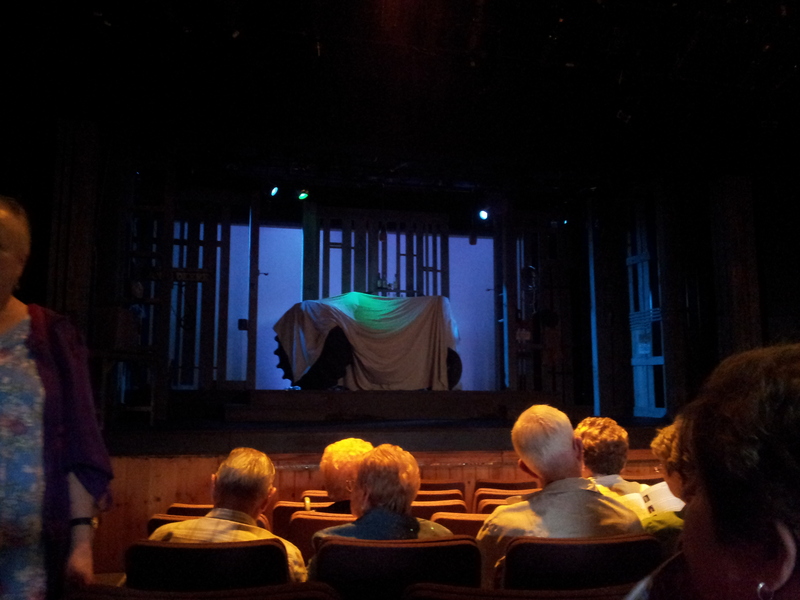 On Saturday, June 15th, I was fortunate enough to attend the Blyth Festival`s matinee showing of Dear Johnny Deere. With me, I brought my friend Sasipim Supappa, an exchange student from Thailand. 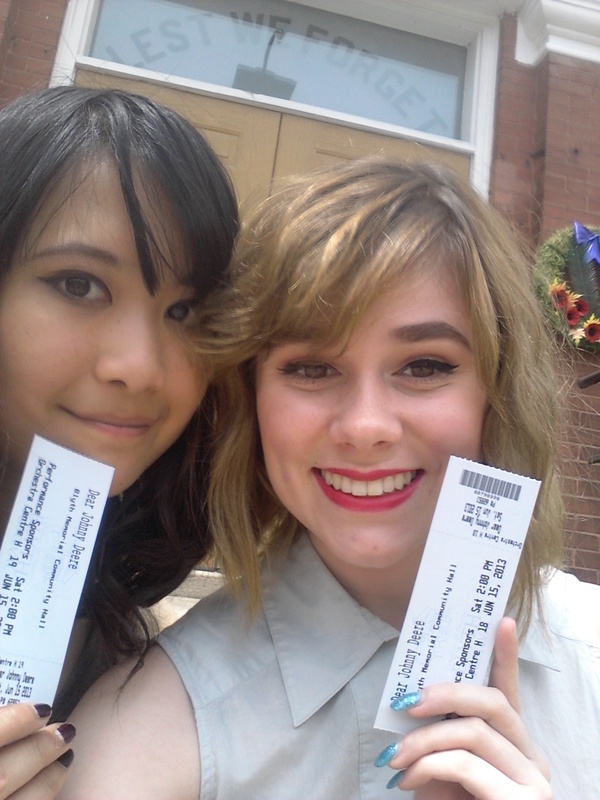 We arrived at 1:15, greeted by the kind staff of the Box Office, and picked up our tickets. The weather was so beautiful, and with all of the benches outside the theatre, we sat in the sunshine until they opened the doors and we were allowed to take our seats. When we walked in, the set was dimly lit, but the presence of a tractor (pictured below) was evident. At the opening of the show, they had a wonderful music number, after of which they removed the sheet, tire, and boxes to reveal a baby Grand Piano underneath! Directed by Eric Coates, the show centres around Johnny and his wife Caroline, and the problem that arise when an old friend of Caroline’s comes home to visit. Although the set was simple, the plethora of instruments, wooden crates, and John Deere signs made an honest set, representing Johnny’s barn, house, the local bar, and other various settings. The show was strung together with an amazing score of music inspired by roots singer Fred Eaglesmith, which was a true treat to the ears. The energy and passion that each character had for their music was inspiring, and made for a memorable show. NOTES: Dear Johnny Deere has now closed at the Blyth Festival. But, it’s not too late to see the show as it will be remounted in Port Dover at the Lighthouse Festival from August 21 – September 7. For East Coasters, or visitors travelling to eastern Canada this summer, another production is currently on stage at PEI’s Charlottetown Festival and runs until August 31st.